No limits. These women’s tights are made with sweat-wicking interlock fabric that keeps you cool and dry as the intensity rises. The stretchy leggings have a wide waistband that stays in place no matter the movement. Flatlock seams move smoothly against your skin for comfort with each stretch and bend. 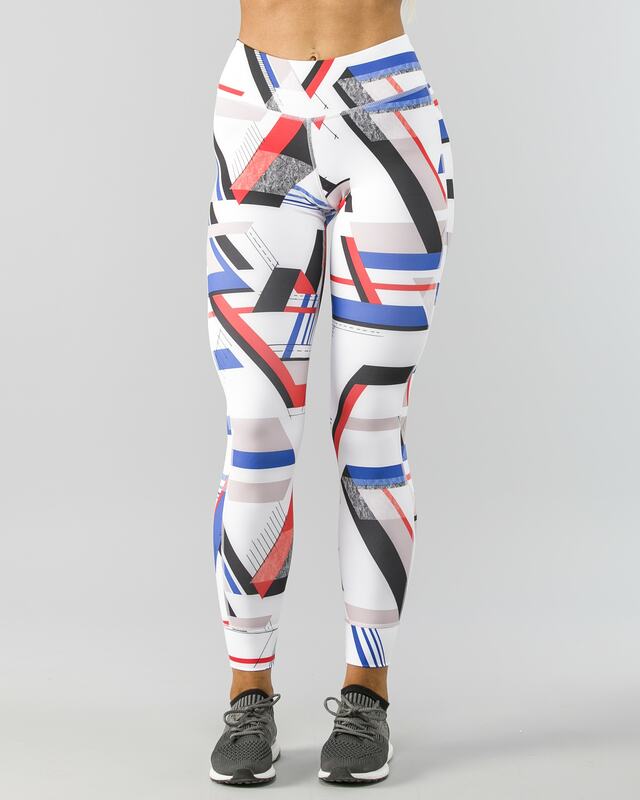 The dynamic stripe print stands out at the gym with its energetic pattern.